Covered Bridge Outdoor Construction Corp. Comment: I would like to completely redo my retaining wall. There are three sections. I would like to add drainage and possibly use a different material than the current material. Everett Concrete Contractors are rated 4.65 out of 5 based on 1,143 reviews of 59 pros. 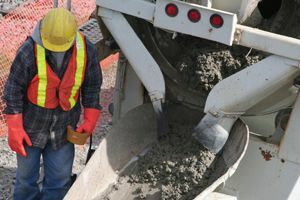 Not Looking for Concrete Contractors in Everett, MA?